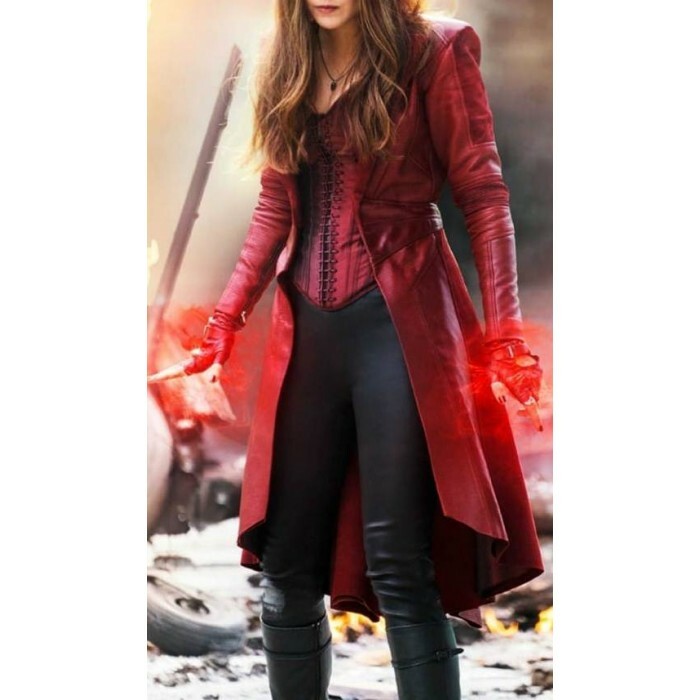 Make supreme style statement by wearing this Civil War Scarlet Witch Red Coat to seem very attractive. 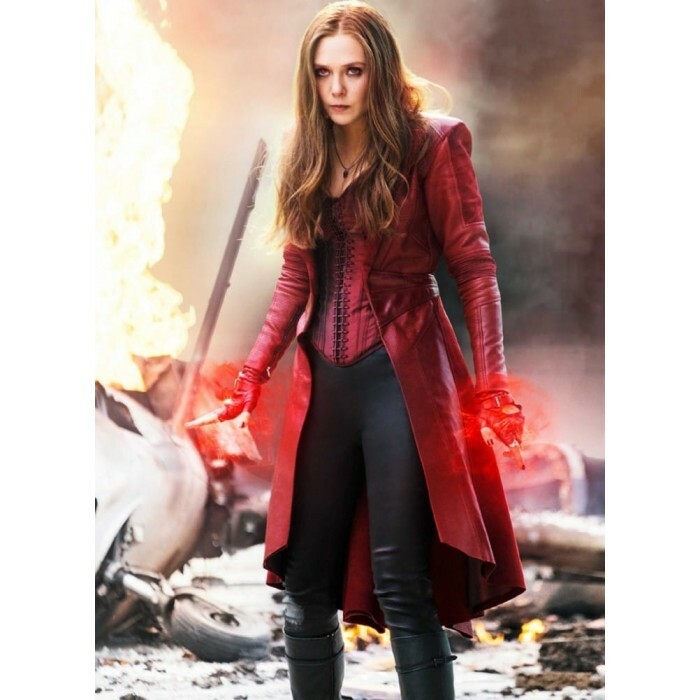 The clothing is designed to inspired form Elizabeth Olsen role of Scarlet Witch/ Wanda Maximoff in the top ranking movie Captain America: Civil War”. This outfit is preferably great selection to redefine your attitude in your style. shopping, dating, outings, and occasions and on winter season. Hurry up! Grab this special masterpiece and facilitate from the excellent offer of free shipping.